Looking for a Top Quality Kiss Cutting Press? Buy the popular High Speed HS Series from Freeman Schwabe, the OEM! 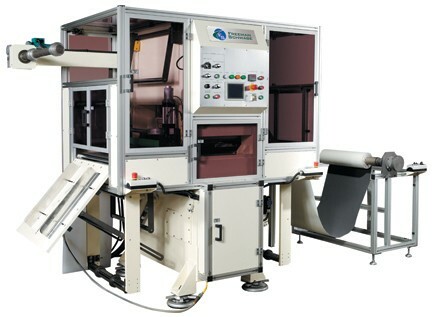 The High Speed Kiss Cutting Press delivers high productivity and kiss cutting precision. The robust construction maintains parallelism ensuring high precision punching accuracy. Supplied with the latest in touch screen programming control, the system stores production data for instant recall and productivity control. Thin plastic film from 0.008″, such as LCD, PC, PS, PP, PET,PVC etc. Thick foams for electronic, rubber, automotive interior and packaging industries. This entry was posted in Kiss Cutting. Bookmark the permalink.